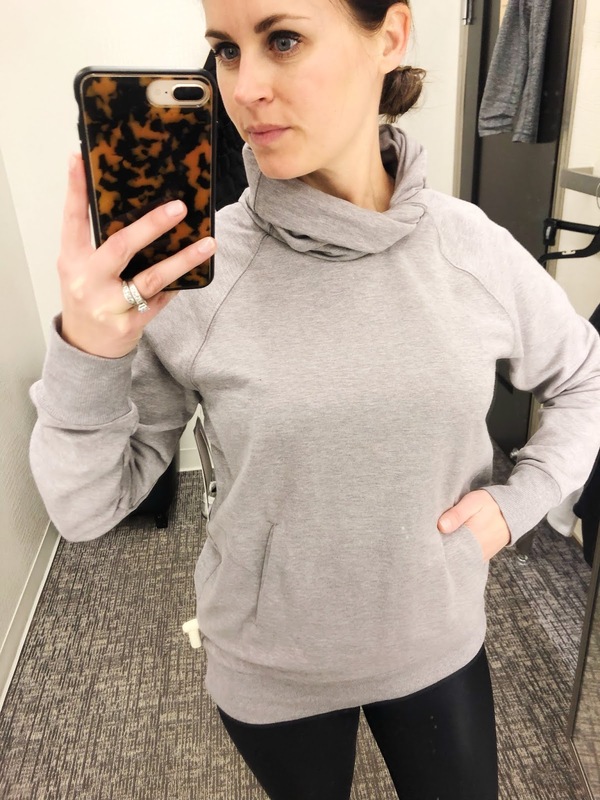 jillgg's good life (for less) | a west michigan style blog: FITNESS try ons! When I was recently in Nordstrom I first made a bee-line to the fitness department. 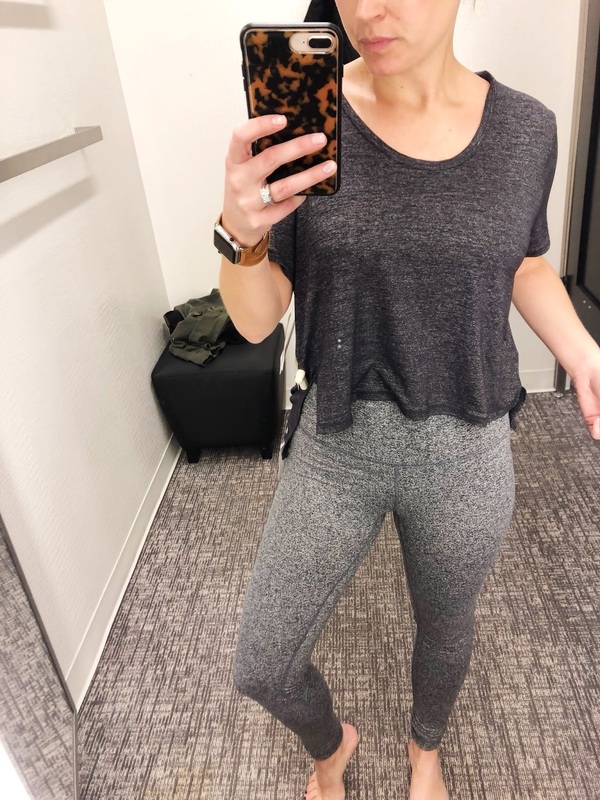 Nordstrom has such an amazing selection of fitness apparel and let's be honest this time of year, fitness is at the FOREFRONT of a lot of ladies' minds! I know it is for me! I've got my fitness goals refreshed for the New Year and a few new leggings or tops definitely help keep the motivation going. I found a few amazing gems and knew they were definitely worth sharing here! I already have quite a few fitness pieces from Nordstrom that I just love - that aren't pictured here - but you've probably heard me rave about these ultra flattering $50 leggings before, these leggings are insanely soft but they keep selling out, and this ribbed legging is to die for but a little pricey... and I am obsessed with these camo leggings but they were sold out in my size in the store - they are amazing in person! above & below: How cute is this cropped workout top? I love the open back too! It would obviously be worn with a cute strappy sports bra instead of a regular bra... 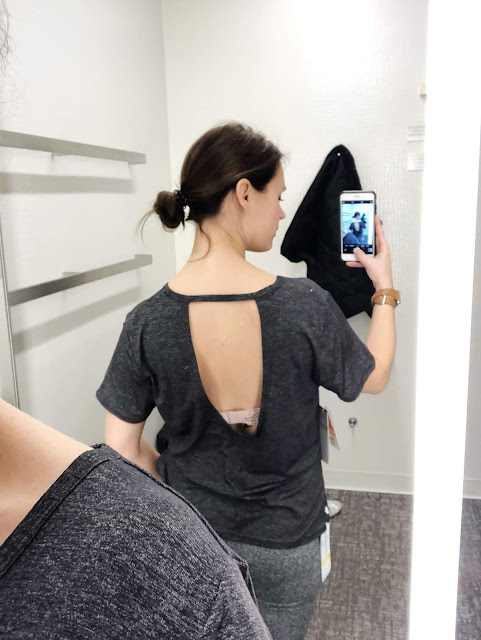 It's a great way to show off your cute sports bra for sure! I am wearing a size small here. above: Let's talk about another pair of leggings I am over the moon about. I couldn't resist bringing this pair home with me. I've seen similar shiny or glossy leggings before but always for so expensive. I love that this pair is a great price and SO fun to wear! I am wearing a size small here. above: Now let's chat about this super cozy sweatshirt! This is exactly what I need to throw on over tanks for winter workouts. I love the kangaroo pockets and the fun twist turtleneck. This was SO cozy. I am wearing a size small here but would have preferred a medium instead so it's extra roomy. I love this grey color but it's available in quite a few colors.